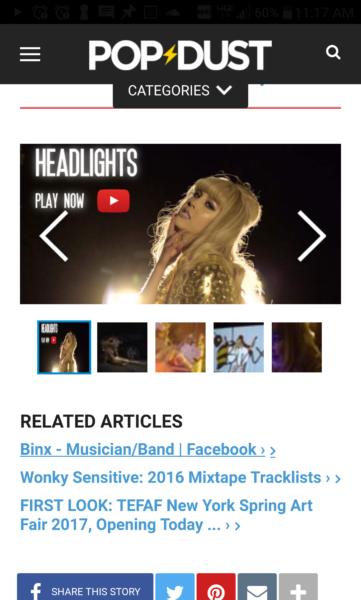 “HEADLIGHTS” Music Video Premiere on PopDust.com! 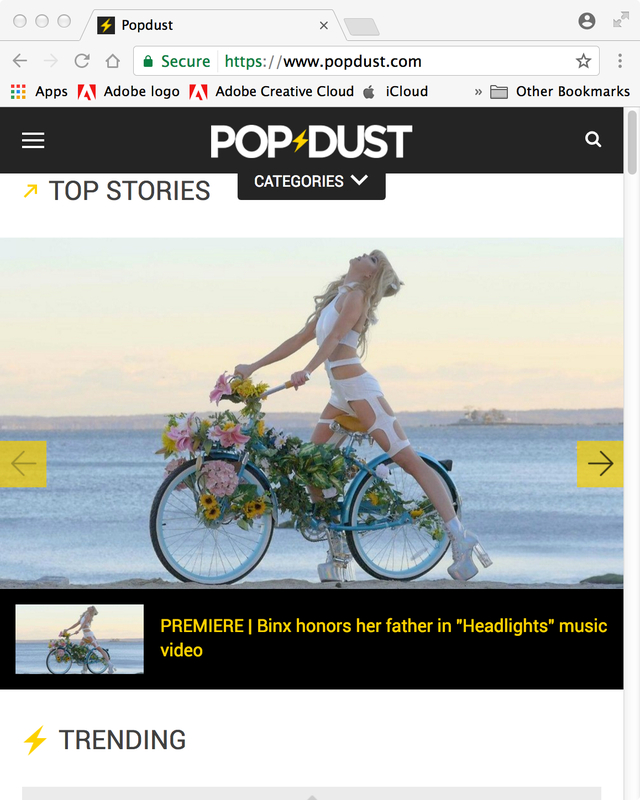 Screenshot of the “HEADLIGHTS” music video featured on the front page of PopDust.com! 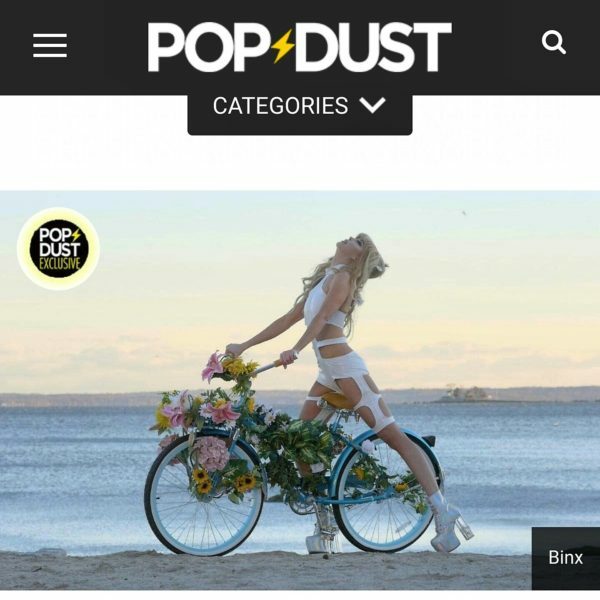 Check out the whole video on Popdust.com !!! Binx had seen my video direction work with Malka Red, and reached out about this fantastical new music video idea she had that was based on a dream. During our first skype call I loved her positive energy and dedication to her craft, and as she told me her story and described the dream that inspired her to make this video, I instantly could see a vision in my head for how to bring her magical, whimsical story to life. I love working on narratives, and it was such an honor to work on such a special tribute project. I strove to convey both a pop atmosphere, and also the mystique of a dream, with the sentimentality of love and reverence between Father and Child. 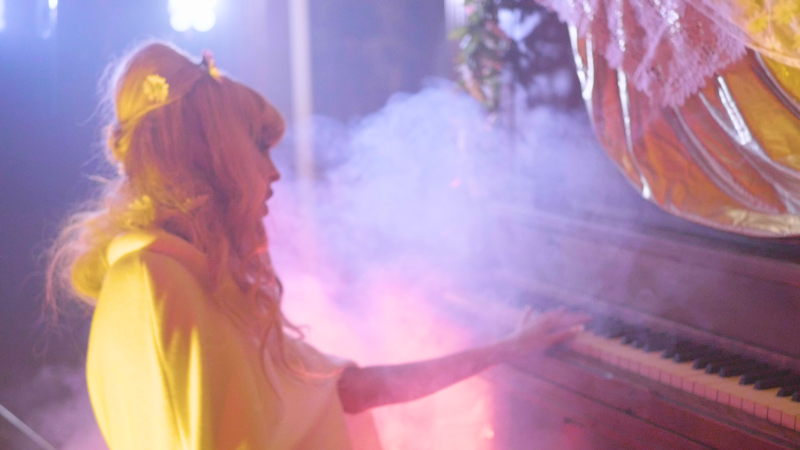 Binx plays piano surrounded by smoke. Binx stands between two fires in a dramatic scene. When Binx performed live and held a special private screening for the video for the first time at Jay-Z’s 40/40 club a few weeks ago, I could only think about how proud Binx’s Father would be to see his Daughter captivating crowds in New York City and pursuing her dreams.